Custom homesites at Thousand Oaks Golf Club. 1 to 3-acre private, wooded building sites. Proximity to practice course & driving range. Proximity to clubhouse and restaurant. Only 9 homesites to choose from. Home and site packages starting in the $700,000’s. Fill out the form to request a time works for you. We will be in contact shortly to confirm dates and times. 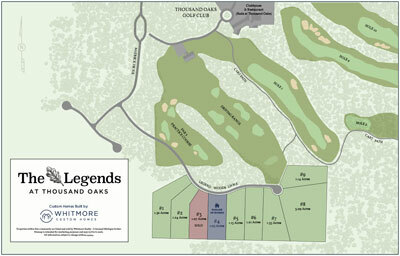 We’ll also send you a detailed site plan of The Legends at Thousand Oaks! Call (616) 377-0033 to speak with a sales person.